Are you keen to add value to your business or provide an inhouse service for your staff team? Install a vending machine or two? Partnering with the right vending machine service is essential to make sure you attain the maximum benefit out of having vending machines on your premises. You will benefit from equipment and service that runs efficiently and smoothly in the background. One less task to consume your time. 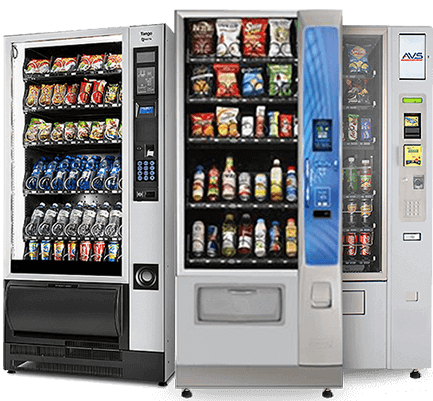 If you’re not quite sure where to start, these eight questions can help you narrow down your options and choose the right vending machine service to meet your needs; whether you run an office building, factory, club or sporting facility. 1. IS THE PRODUCT RANGE FLEXIBLE? We all like to have choice in life, especially with food choices. You need a service that offers a wide choice of drinks and snacks including healthy and sugarless selections to cater for the variety of tastes. A service that lets you pick the snacks and enjoy the flexibility to change products, according to demand to satisfy all customers. 2. CAN THE BUSINESS HAVE A COMBINATION OF PRODUCTS? Snack or drink vending – how do you choose? Look for a service that will offer you a combination drink and snack vending machine. Combos are a popular choice, particularly during the height of summer when people like a thirst quencher to enjoy with a snack. 3. WHAT TYPE OF RE-STOCKING IS AVAILABLE? You need to be sure that the vendor you choose is readily available to re-stock when required, on a daily or weekly basis, according to demand for popular products. The last thing you need is a machine with empty shelves and a re-stocking service that only happens once a fortnight. Do I have direct phone and email contact with the account manager who will solve any requests or issues? 4. HOW RELIABLE IS THE QUALITY OF THE EQUIPMENT? There’s no point offering healthy vending choices if your machines aren’t healthy as well! You need reassurance that your vending machine won’t break down on a hot day, or continually swallow money without providing the snacks. Machines should be versatile to accept CASH and CREDIT CARDS, fitted with high-quality optical sensors ensuring that drinks and snacks are delivered when paid for. 5. IS TECHNICAL SUPPORT SERVICE AVAILABLE? A high-end vending service will provide you with top-quality machines, but even the best technology can have its issues. Check if the service will readily provide technical support and assistance in case something goes wrong, and organise repairs when needed. Do I have direct contact with the problem solver? 6. IS THE BUSINESS DEALING WITH A LOCAL SERVICE? Choosing a locally owned and operated vending service makes re-stocking and any servicing or repairs much easier to carry out. Look for an independent operator with a reputation for being responsive and solving problems quickly. 7. WILL THE BUSINESS MAKE ANY PROFIT FROM THE SALES? Vending machines are generally leased free. They may also be subject to a profit share arrangement, especially if they are placed in high traffic areas where higher earnings from commissions on sales could be negotiated. This makes it even more important to choose a reliable, locally owned company that can guarantee your machines will be continually replenished and your product range remains diverse. 8. IS THE BUSINESS COVERED FOR PUBLIC LIABILITY INSURANCE? Look for a company that takes care of insurance and public liability and guarantees no-fuss refunds thus leaving you stress-free. Workers compensation cover, OH &S compliance and employee safety dress, safety and procedure training are a must. So where do you find a vending service that can confidently provide the answers to these questions? Your Choice Vending offers all the above and more. We take pride in the quality of our machines and our service. A change to YOUR CHOICE VENDING is the best VENDING decision you’ll make all day!